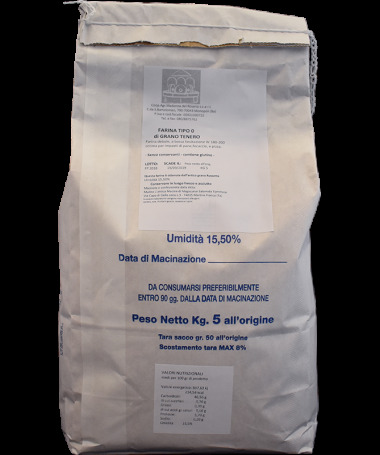 The soft wheat flour type "0" is of low intensity, low leavening W 180-200, excellent for bread dough, focaccie and pizzas. The wheat is produced by the Agricultural Cooperative Madonna del Rosario with traditional techniques, without resorting to chemical treatments. 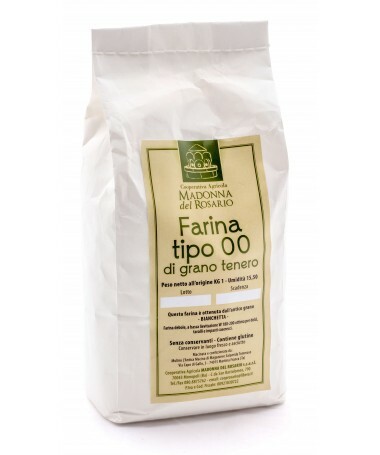 The soft wheat flour type "00" is of low intensity, low leavening W 180-200 excellent for desserts, taralli and homemade doughs. The wheat is produced by the Agricultural Cooperative Madonna del Rosario with traditional techniques, without resorting to chemical treatments. 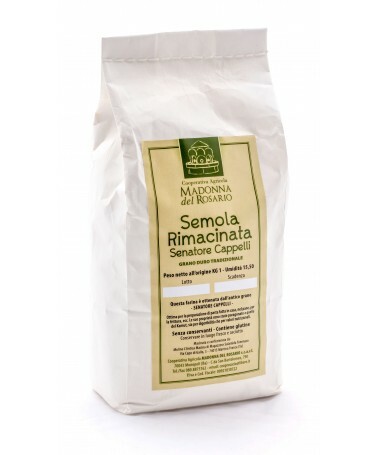 This flour is obtained from the ancient variety wheat Senatore Cappelli. Excellent for preparing homemade pasta. Its properties have been compared to those of Khorasan, both for digestibility and for national values. The wheat is produced by the Agricultural Cooperative Madonna del Rosario with traditional techniques, without resorting to chemical treatments. Durum wheat from Senatore Capelli variety can be considered the father of the many varieties of durum wheat grown today. This variety was selected in 1915 by Nazareno Strampelli and called Cappelli in honor of the senator Raffaele Cappelli, promoter, in the early twentieth century of the agrarian reform that led to the distinction between hard and soft grains. It was cultivated until the 80s to be supplanted then by other varieties much more productive. Recently this variety of durum wheat has been re-evaluated for its nutritional peculiarities. In fact, recent studies have assimilated durum wheat semolina. 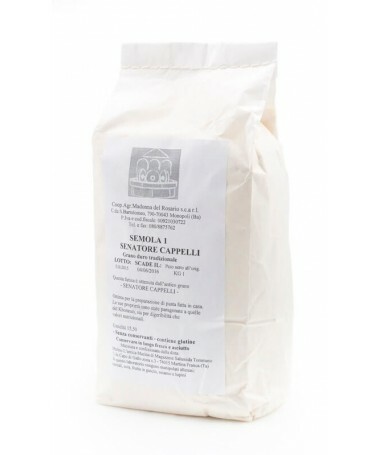 Cappelli, particularly digestible and suitable for those who show intolerance and allergies to cereals, durum wheat from Khorasan (kamut). In fact, the hypothesis that genetic modification of modern grain varieties is related to a modification of their protein and, in particular, a fraction of its gliadin, which is a basic protein from which, by peptic-triptica digestion, he obtains a substance called Frazer III, responsible for inflammatory enteropathy and therefore for malabsorption (gluten intolerance and allergies).